What IMAGE does your writing project? Are you happy with your TONE OF VOICE? We can help your business/organisation identify its own, unique Tone of Voice. This enables you to get across your overall brand - your character, values and purpose - in an engaging and impactful way to customers ... This will help you win more people's attention, interest and admiration. As well as drawing up detailed Tone of Voice Guidelines (for more details, see below), we can then apply your tone to documents or web pages of your choice. This ensures documents are written in line with your brand - with the tone and messages that you desire - be it on your website, in your flyers and newsletters, or your all-important marketing material. 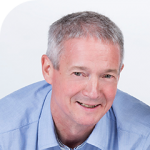 VoiceID blends together my own diverse copywriting experience with the marketing and branding expertise of my business colleague, Mike Northover from Deep (see his bio and website, below), with whom I work on copywriting assignments. Speaking with Mike and Robert about tone of voice, and how I want people to feel when they read about the business was a really good experience. VoiceIDis so powerful. It opens up a conversation about how you speak to clients and prospects – and crucially, puts you in control. The input from Robert and Mike was extremely helpful. They brought fresh insights and new perspectives and they challenged me to think in different ways in order to achieve more positive outcomes. Make an impression - Make an impact - Increase clients' confidence in you, so they know they have come to the right place. Establish a clear, company writing style - Having a clear voice means you will have a uniformity of writing across your staff/teams. It also means it will be easier/quicker for new staff, temps or freelancers to write for you - without requiring much guidance. Get your brand recognised - Consistency across all your communications will develop a stronger relationship with your customers, and create a differential that can set you apart from your competitors. And finally ... Put a smile on your customer's face. Which is no bad thing. For those who want it, we can be commissioned to apply your desired tone of voice to other business documents - such as reports, marketing material, newsletters, or your website, etc. Mike spent many years working for specialist marketing agencies, working on campaigns for big brands. He believes passionately that brand voice is a key part of brand identity, and that to really engage customers, a business needs to have guidelines that address how it should speak – not just how it should look. 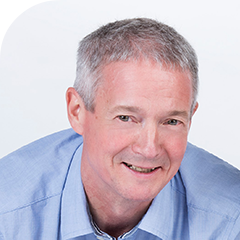 At Deep, Mike works with a diverse range of businesses, helping them to find their own unique ‘brand voice’ and identify key marketing messages – before creating compelling written content that delivers results. When he takes time out from sharpening his pencils, it’s usually to stroke his beloved Nespresso coffee machine, go for a long off-road bike ride or practice yoga really badly. He’s always up for a Guinness, but be prepared for nostalgic ramblings about his time as a holiday rep, and his career-high – working in marketing at Club 18-30 Holidays. Got a query about your Tone of Voice?